Canada-based online gambling giant Amaya Gaming has announced the immediate suspension of the services provided by its newly-acquired DFS brand, StarsDraft, in 46 of the 50 US states. Amaya’s decision comes amid a turbulent few weeks for the daily fantasy sports industry, as industry leaders DraftKings and FanDuel face a myriad of bad press and consumer lawsuits and states’ attorney generals across the country reevaluate the DFS sites’ offerings in the context of each individual state’s gaming laws. Amaya had already yanked the StarsDraft brand, envisioned as a corporate offshoot of its online-poker brand PokerStars, from a couple of states in recent days — most notably Nevada and Florida. In Nevada in particular, Gaming Control Board Chairman A. G. Burnett has issued a notice declaring DFS to be a form of gambling, and thus subject to licensing and regulation by his agency. 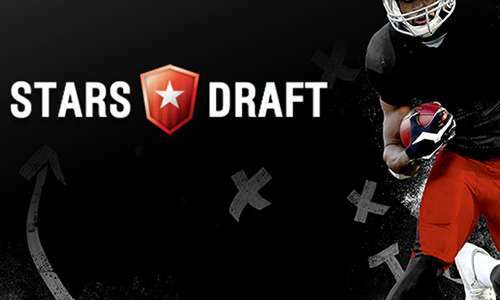 StarsDraft and several other prominent DFS brands exited immediately, although at least three, including StarsDraft, have announced plans to apply for formal licensure. According to a press statement issued by Amaya (below), StarsDraft will continue to operate in only four states, New Jersey, Massachusetts, Kansas and Maryland. Parent company Amaya is believed to be using a very conservative reading of each US state’s relevant gambling statutes regarding games of chance, even those including a significant skill element such as DFS. The four listed states where StarsDraft will continue operations for now have each given public signals that current DFS offerings are legal under those states’ laws. MONTREAL, Canada – October 19, 2015 – Amaya Inc. (Nasdaq: AYA, TSX: AYA) (“Amaya”) has announced that it is limiting its daily fantasy sports (“DFS”) brand StarsDraft from operating real money games and tournaments in most U.S. states following a review of recent developments in a number of jurisdictions. The decision is not anticipated to have a negative financial impact on Amaya. StarsDraft players in all jurisdictions will continue to have access to the funds in their online accounts, which are available for withdrawal at any time. The withdrawal represents an immediate but relatively small hit to Amaya’s overall bottom line. Amaya acquired the company once known as Victiv just nine weeks ago, rebranding it as StarsDraft to better fit the company’s global marketing plans. Terms of the purchase were not made public, but the deal has been generally valued at between $20 and $40 million, in which most of Victiv’s workforce was retained under Amaya ownership. However, Amaya’s long-term interest in the larger US online gambling market likely makes the temporary shelving of StarsDraft an easy choice. Amaya recently received approval for its PokerStars and Full Tilt online-poker brands in New Jersey, and continues to be embroiled in a fierce political battle over the possible regulation of online poker in California, the US’s most populous state. Since Amaya’s acquisition of PokerStars in 2014, the new parent company has consistently taken the high road in its various political engagements throughout the US. The proactive withdrawal of StarsDraft from most US states, seen in that light, is a very similar move. Other DFS sites are unlikely to mirror the near-blanket StarsDraft withdrawal, simply because their very existence depends on being able to offer these services in most US states. International (non-US) play on DFS sites comprises only a small percentage of the global DFS market, even though several of the largest such brands have made active marketing steps in bringing the concept to the global stage. Following a review of recent daily fantasy sports developments within a number of jurisdictions, we regret to inform you that StarsDraft is now limiting its operations to a select list of states. Starting today, only players physically located in Kansas, Massachusetts, Maryland and New Jersey will be able to participate in our fantasy sports contests. As part of Amaya Inc., one of the world’s largest and most regulated online gaming brands, we at StarsDraft pride ourselves on best practices with respect to compliance, security, responsible gaming and the protection of player funds. Unlike many other fantasy sports operators, Amaya ensures that all of its brands hold end users’ deposits, winnings and bonuses in trust accounts through which money is fully protected from company operating liabilities. As such, your full balance is and will remain available for withdrawal at your earliest convenience. 5. We have removed the minimum check withdrawal restrictions. Any winnings and subsequent tickets or loyalty points earned after tonight’s NFL payouts will also be converted to cash following the above structure. For more information on this change, please [visit StarsDraft.com]. The recent incidents involving the practices of certain leading companies in DFS demonstrate that the current self-regulatory practices have fallen short. We strongly believe that there is a real need for state regulation and licensing of DFS, and until such time, we will not be operating in any other states than the four mentioned above which already have existing and clearly defined daily fantasy sports guidance. We believe that this is the responsible approach for our company and encourage others in the industry to consider the same measures in order to ensure the future growth and viability of daily fantasy sports in the U.S.
We apologize for the abrupt change in policy, we will actively monitor ongoing developments within DFS and we look forward to working with all states interested in implementing set guidelines for the operation of daily fantasy sports in their jurisdiction.